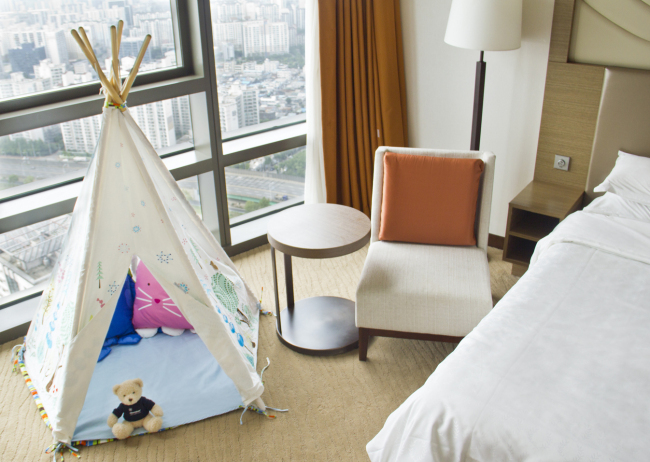 The package provides a small Indian teepee for children to play in along with Milo & Gabby pillows and the signature Sheraton D-Bear in a deluxe room, along with macarons. Families can enjoy a lavish breakfast at the buffet restaurant Feast and swim at the indoor swimming pool. The deal is available until the end of the year at a starting price of 255,000 won. For more information, call (02) 2211-2100. Instead of the traditional chicken and beer combo, Courtyard Marriott Times Square is offering kushikatsu, Japanese deep-fried skewered meat, with beer. 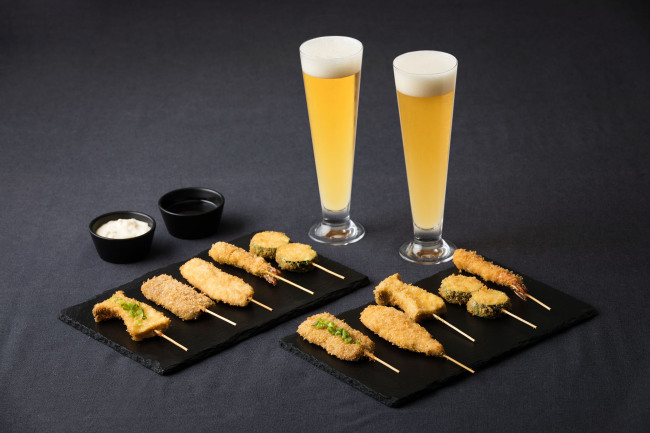 The promotion offers four varieties of draft beer -- Stella Artois, Goose Island, Kashu and Premier OB Pilsner -- served with five kinds of Japanese kushikatsu. Guests can enjoy the food and drinks for two hours at a cost per person of 25,000 won. The kushikatsu and beer deal is available until the end of August and can be enjoyed at the Momo Bar between 7:30 p.m. and 9:30 pm. For more information, call (02) 2638-3081. 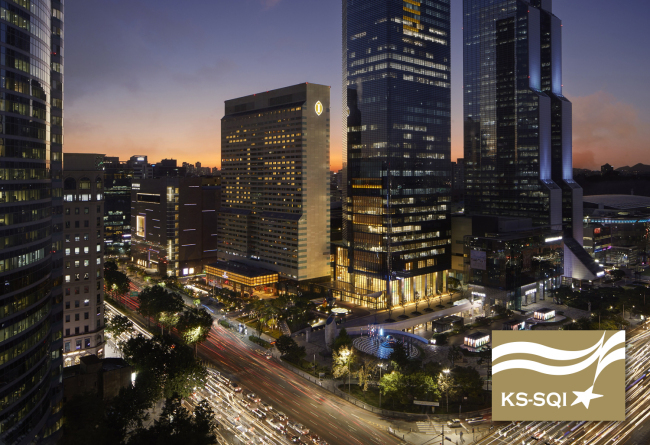 Grand InterContinental Seoul Parnas and InterContinental Seoul Coex have won an award for being the best in the hotel sector of the Korean Standard-Service Quality Index an eighth time. The two hotels are offering a variety of events along with the “Celebrate No. 1” giveaway for hotel guests until Aug. 19. 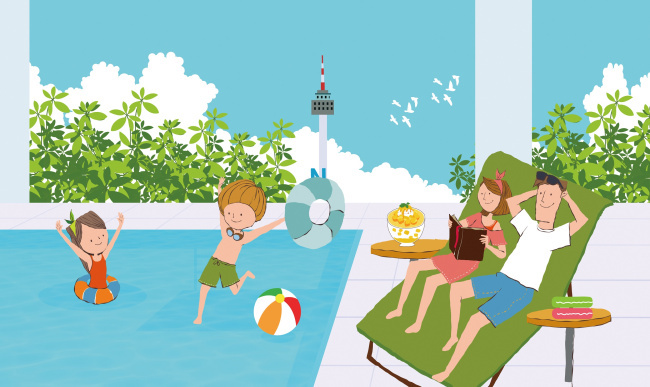 During the promotional period, the hotels will randomly select 60 lucky winners. Prizes include a free stay at the club mountain suite, an Urban Escape Spa Package or a meal at Hakone Omakase or the Sky Lounge, and more. Millennium Seoul Hilton is offering room packages for those looking for a city getaway. The packages -- Deluxe Urban Break and Executive Urban Break -- come with a cityview deluxe room and breakfast buffet for two at Cafe 395, along with a sun stick and bingsu dessert from the hotel’s deli. Guests will be granted access to the hotel’s swimming pool and fitness center. Packages are only available to Korean citizens or foreign residents with an alien registration card, with prices starting from 240,000 won. For reservations or inquiries, call (02) 317-3000. JW Marriott Dongdaemun Square Seoul’s BLT Steak restaurant presents BLT Steak Night, offering steak set courses at affordable prices. Every Tuesday is Steak & Fry Night. 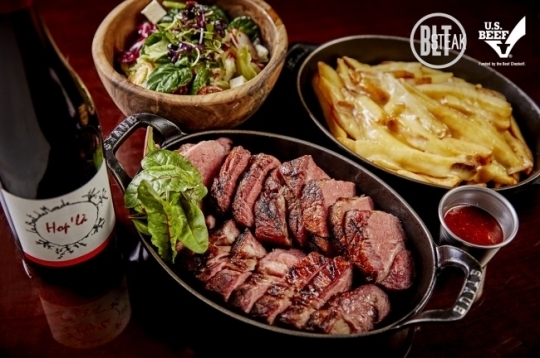 A set menu, including BLT’s signature popover bread, salad, Black Angus chuck roast and a glass of either French or Italian wine, is offered at a price of 89,000 won for two people. Fridays are Chateaubriand Night. A set course menu, including BLT’s signature popover bread, lobster cobb salad, prime-rated tenderloin and a glass of French natural wine, is offered at a price of 148,000 won for two people. The promotion continues until the end of September. For more inquiries, call BLT Steak at (02) 2276-3330.